It is a fortunate person who can suffer a slip-and-fall and walk away with little more than a bruised ego. These incidents result in millions of emergency department visits annually and are one of the leading causes of unintentional death in the U.S., according to the National Safety Council. 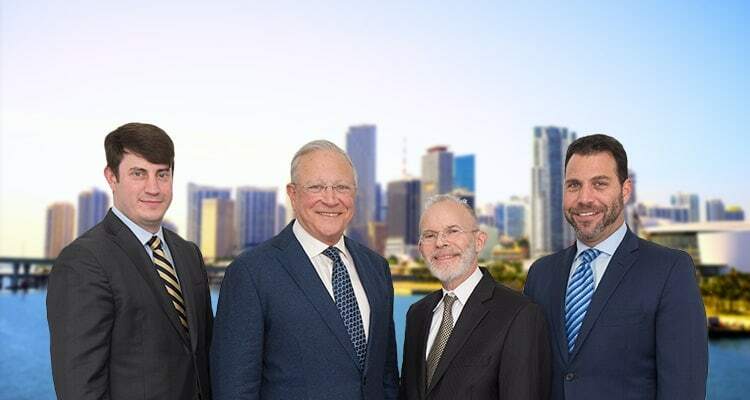 The Miami slip-and-fall accident attorneys at Gerson & Schwartz, P.A. have handled countless cases wherein a fall caused by a property owner’s lack of care resulted in the need for emergency treatment, extensive medical care, ongoing physical rehabilitation and sometimes an inability to return to work. In the worst-case scenarios, victims die or become disabled, requiring around-the-clock care. Older adults, children and workers tend to suffer more severe injuries than most. However, there are a fair number of cases wherein victims don’t initially feel much at all, and fail to seek prompt medical care. It’s not until the next day or several days later the full scope of pain, limited range of motion and other ailments begin their onset. Obtaining prompt medical attention and legal counsel will help preserve one’s chances for a claim. While we do understand the desire by some to want to avoid a lawsuit over a relatively minor injury, such as a sprain or strain, it’s worth pointing out that these claims still result in medical expenses and may impede your ability to fully function in everyday life, at least for a while. We may be able to help you negotiate a reimbursement without ever filing a lawsuit. Consulting with an attorney is the only way to know for sure the best course of legal action. The U.S. Centers for Disease Control & Prevention (CDC) reports falls are the cause of more than one-third of all traumatic brain injuries, especially when someone falls backward. A traumatic brain injury can range from someone having a mild concussion to suffering a permanent and disabling brain injury that impairs cognitive function and could even be fatal. There is also the risk with a fall of whiplash and other neck injuries. Though we typically associate whiplash with car accidents, the head and neck can be oddly contorted in rapid fashion in a slip-and-fall accident too. Whiplash injuries may not be noticeable for several days after the incident. As for spinal cord injuries, about 25 percent are attributed to falls. In those cases, many injuries are permanent, resulting in a lifetime of costs for medical care. The National Floor Safety Institute reports fractures, which account for roughly 5 percent of all slip-and-fall injuries, are among the most serious consequences. Of these, hip fractures tend to be the most serious, leading to the greatest number of health problems and deaths (primarily among the elderly). More common in many slip-and-fall cases are situations where one suffers the fracture of a wrist or arm, usually when trying to grab onto something like a railing or break their fall to protect their head and face. Hand and arm injuries may not seem like the most severe, but they can leave sufferers out-of-work for a time and unable to complete many basic functions, such as driving, typing or cooking. Depending on the fracture site, normal healing for adults may take anywhere from 3 to 12 weeks. Any aggravating factors or complications could result in longer recovery. People who are injured in falls often land on their shoulder, particularly when they are trying to break their fall while tripping and falling forward. Most often, this results in injury to the rotator cuff. Sprains, tears and strains can also be especially painful, and may keep you out of work for several weeks or months. The sheer force of landing on one’s knees after a slip-and-fall can result in sprains, tears and ACL (anterior cruciate ligament) injuries, though patellar fractures (fractures to the kneecap) are perhaps the most serious. In addition to requiring surgery and being incredibly painful, knee injuries are typically disabling, at least for a time. Once you add up the cost for emergency treatment, surgery, physical therapy and lost wages, the cost of a knee injury can quickly add up. Lower back injuries commonly result from slip-and-fall accidents. The National Institute of Health estimates 14 million Americans suffer severe chronic back pain – and a substantial number result from falls. In some cases, herniated disc or compression fractures may result, causing severe permanent injuries. Prevailing in a slip-and-fall lawsuit requires more than simply showing you suffered an injury. One must prove the defendant property owner was negligent according to the state standards for premises liability. (Particularly as it relates to slip-and-falls, Florida Statute 768.0755 will be applicable, requiring plaintiff to show defendant had actual or constructive knowledge of the dangerous condition and failed to remedy or warn of it.) But even once you have established negligence, one must prove damages. The term “damages” in civil liability refers to a sum of money claimed or awarded in compensation for a loss or an injury. Maximizing damages means proving the injuries you suffered were severe and had a substantial impact on your daily life. It’s not merely enough to turn over a bill from the emergency room. The court will likely want to consider records or testimony from several medical providers, particularly if the injury is serious or you are claiming sizable damages. That may involve not just medical records, but reports and witnesses that can attest to how this may impact your long-term earnings. The defense at some point may request that you undergo an independent medical exam. Per Florida Civil Jury Instructions 1.360, a party may request the other to submit to an examination by their own qualified expert when the condition is the subject in controversy. Be warned, however, that these exams are anything but “independent.” They are intended to find evidence that will undercut your claim, and ultimately reduce the amount of damages defendant is compelled to pay. Our slip-and-fall accident attorneys in Miami may also need to prove that you are not comparatively negligent. Florida Statute 768.81 does not bar a claim by someone who was partially at-fault for their own injury, but it may proportionately reduce the damages to which they are entitled. If you or someone you love has been injured a slip or fall accident, please contact the Miami law offices of Gerson & Schwartz, P.A., for a free consultation by calling (305) 371-6000 or using our online contact form.